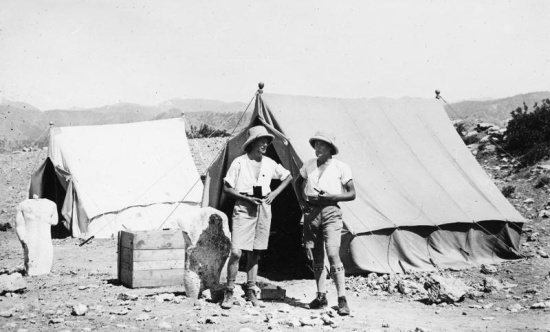 The news of the event has caused some ripples of curiosity and excitement in the history and art interested communities of Cyprus. 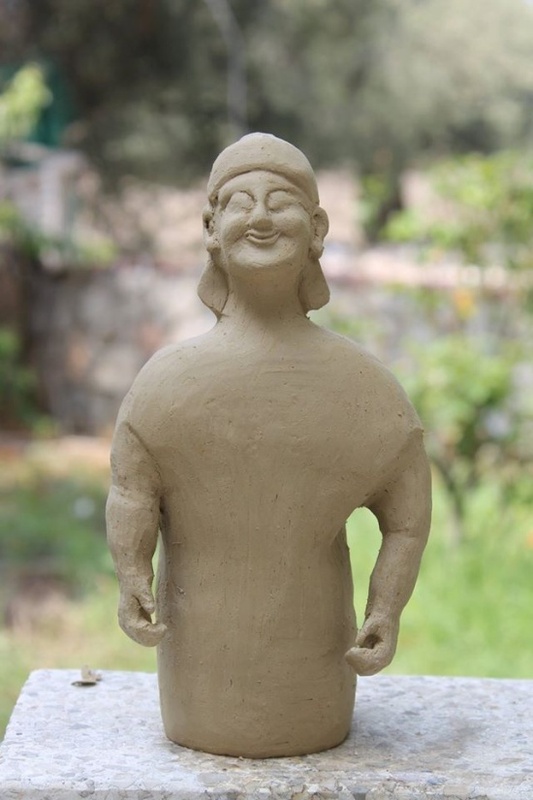 36 ceramic artists from North Cyprus and Turkey will create replicas of the terracotta figurines that were found in a site near Ayia Irini/Akdeniz village and were excavated by members of the Swedish Archaeology Institute in 1929-1931. 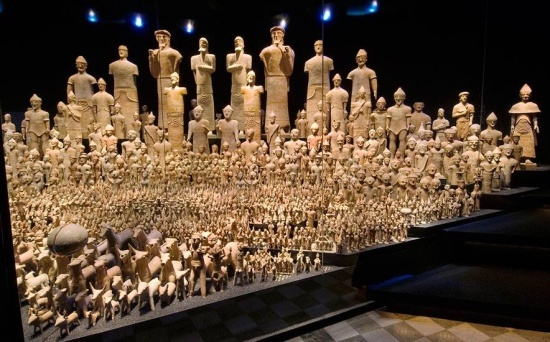 Half of the figurines are today in Stockholm at the Museum of Mediterranean and Near East Antiquities, you can find the photographs on their website, the Carlotta database, and the other half are in the Archaelogical Museum in Nicosia South. 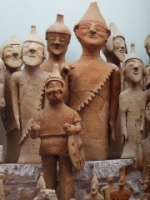 It sounds very mystic to have these many artists assemble in Ayia Irini to create the images of the past, the treasure of a temple from the Late Bronze Age, figurines that guarded the altar, about 2000 of various sizes. 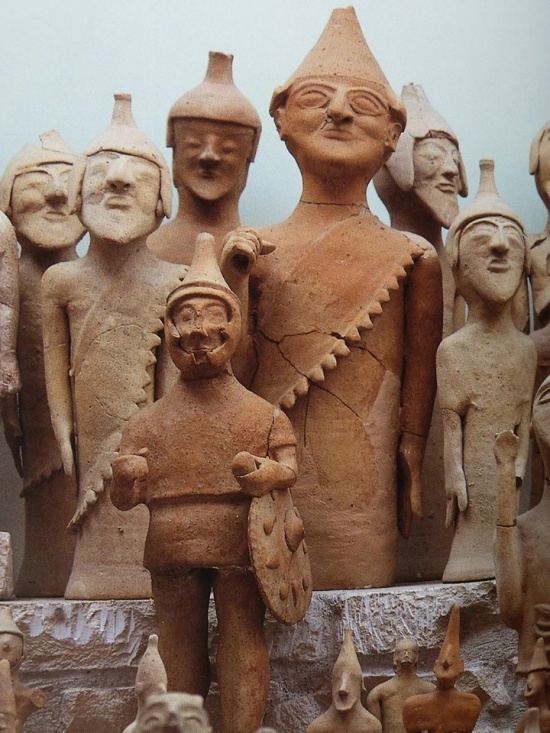 Several times I have stood in front of the figurines lined up in one room at the Museum in Nicosia, a seemingly high culture, and I wondered what these people of times past have been like. 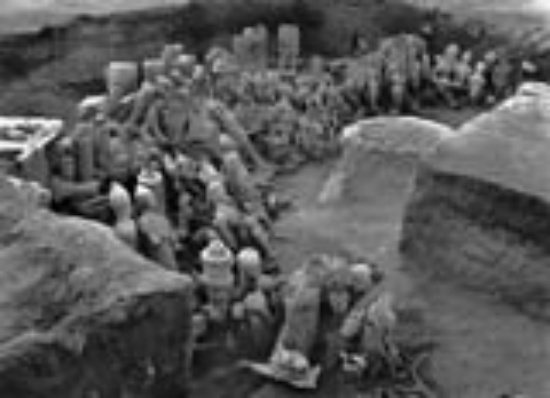 Now, some people in 2014 have got together and have organised an event to take place in the same area as the figurines were once discovered and lifted from their tomb to be taken to other places. 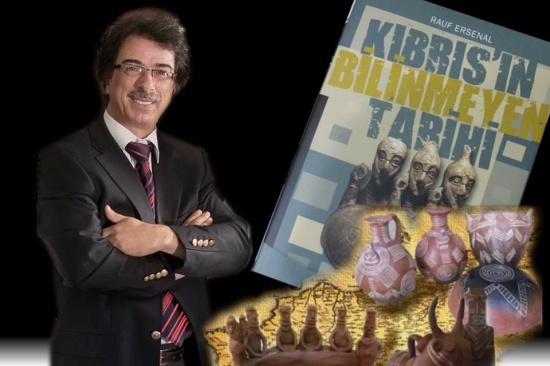 It is two people mainly who have organised the event with the help of AkcevDer, the Akdeniz organisation, that is Rauf Ersenal from Evkav (Board Chairman) who had the idea in the first place and Ayhatun Atesin as curator; they know each other quite well since they have been organising ceramic art events together before. 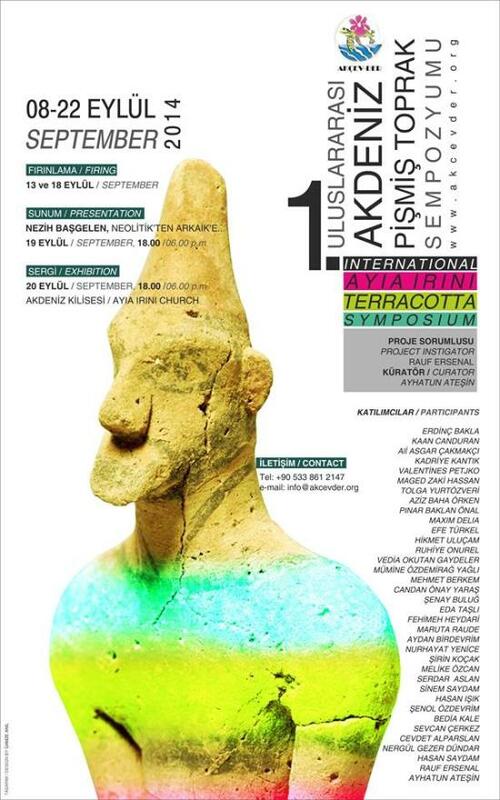 They sent out a call for participants to take part in this 14 days symposium and 34 artists confirmed their participation, not counting Rauf Ersenal and Ayhatun Atesin who are excellent ceramic artists themselves. I had the occasion to interview Ayhatun some years ago – which is included in the first volume of my book ‘Art and Creativity in North Cyprus’ and I had also invited Rauf Ersenal repeatedly for an interview but he is so very busy; I had wanted to include him in the second volume of the book soon to be published. The artists will get together on 08 September in the Church of Ayia Irini to work there and bring to life the ‘army’ of figurines; I wonder how many they will be able to create, perhaps they will have to have a second symposium. 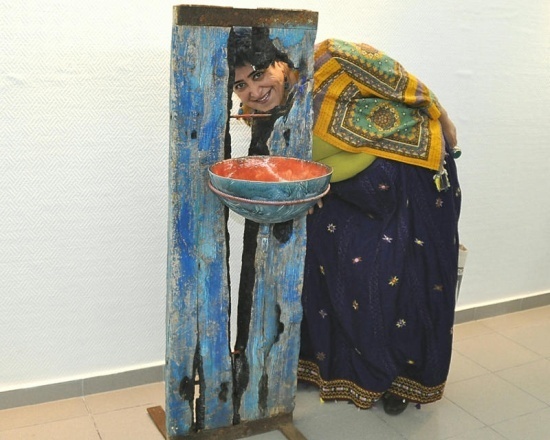 I have already seen some samples done by Rauf Ersenal in his own studio, the bronze age seems to be his passion. Anyway, the firing process is set to be on 13 and 18 September; firing in a kiln especially and strictly built to the information available of a bronze age kiln. 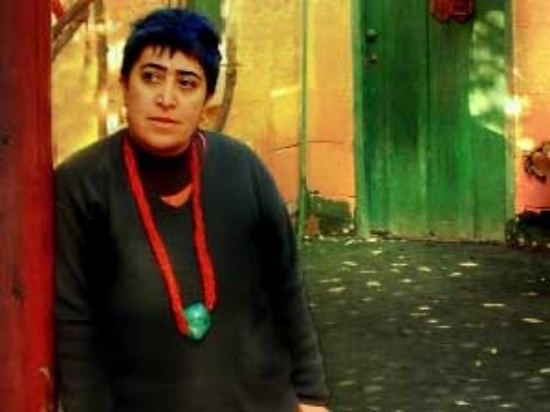 There will be a presentation on September 19 by Nezih Basgelen (Historical Researcher) at 18:00 hrs and finally the exhibition will be ready to see on September 20 at 18:00 hrs. 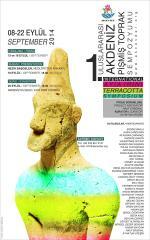 The names of the participating artists are mentioned on the poster, and as far as I can see, there are twelve ceramic artists from North Cyprus. I love the area around Akdeniz, it has a very special atmosphere with the wind mainly coming from the west bending the trees and carrying the sand far inland. Once there were small kingdoms at this foremost western post of the island, the royal tombs are witnesses of it. Let us go and see whether the ceramic artists have accomplished to establish contact to the past of the island.